Drinking laws vary widely across Southeast Asia - Cambodia's relaxed attitude to booze stands in marked contrast to the absolute prohibition exercised in Brunei. Legal attitudes to alcohol depend on the country's majority religion: Catholic Philippines and Buddhist Cambodia, Vietnam and Laos generally won't get in the way of your drinking, while parts of Muslim-majority Malaysia and Indonesia ban the stuff altogether. But the laws are more nuanced than the local religions might suggest - as you can see in the list that follows, even the strictest countries provide loopholes for serious drinkers. Check out this related list if you're a serious drinker traveling through the region - Best Beers in Southeast Asia. Brunei is a conservative Islamic country, so alcohol is completely prohibited. Foreign visitors are allowed to bring in two bottles of liquor or 12 cans of beer within 48 hours, but you can only drink them in your place of residence. Barriers to drinking: complete prohibition. Alcohol is illegal in Brunei, and cannot be sold or consumed openly. "Cheers" in the local language: don't say anything, you want the cops to hear you?! 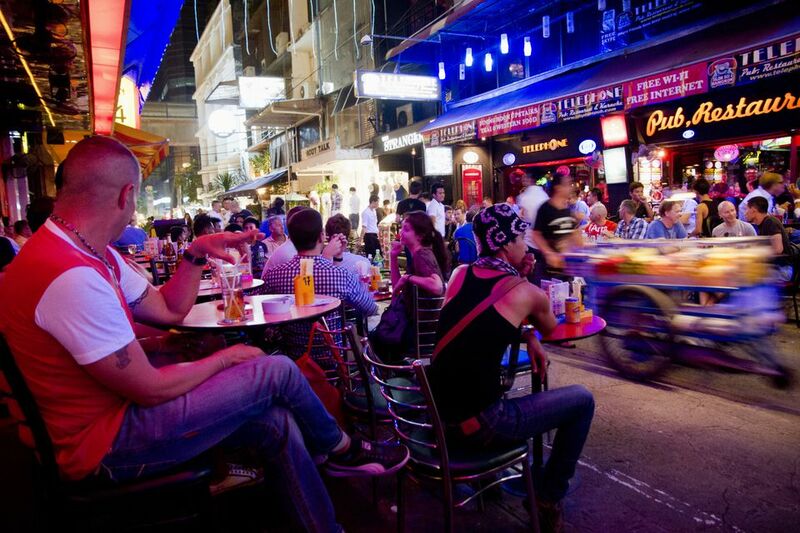 Cambodia has the cheapest intoxicants in Southeast Asia: low taxes and absence of minimum-age laws have set a low bar for drinkers visiting Phnom Penh or Siem Reap. Everything alcoholic can be had here for a pittance: vodka, brandy, rum, and wines can be purchased for half or a third of the going rate in the U.S. Beers are produced so cheap, even the 30% tax imposed on them doesn't raise prices much. The Cambodian government wants you to keep drinking; Cambodian Prime Minister Hun Sen encouraged his countrymen to drink more beer (and thus pay more taxes) "to pay the salaries of teachers, doctors and civil servants such as the armed forces." (Source) Thus, for Cambodians, drinking is practically their patriotic duty! You might not really have a choice. With most water not being safe to drink in Cambodia, locals prefer to drink beer, believing it to be more effective in cooling the body down. Plenty of travelers are happy to follow their lead. Barriers to drinking: little to none. There is no minimum legal drinking age in Cambodia. The only meaningful bar to drinking takes effect during election season - alcohol sales are prohibited on the day of an election. "Cheers" in the local language: Jul mouy! The Indonesian establishment has a conflicted relationship with alcohol drinking; after all, the country has the largest Muslim majority in the world. Many young Indonesians in the city feel no compunction about drinking on weekends, but the government cracks down hard when some step over the line - for instance, when a drunk-driving crash killed 9 in Jakarta, the government called for raids on nightclubs and road sobriety checks. An Islamic conservative party has drafted a law mandating the complete ban of alcohol in Indonesia. Its passage is questionable, though, as a lot of government revenue depends on the continuing legality of liquor and beer. Barriers to drinking: Legal drinking age in Indonesia is 21, but enforcement is spotty. The conservative territory of Aceh completely bans the sale and consumption of alcohol, but the rest of Indonesia is more relaxed about its use. A new Trade Ministry regulation now bans mini-marts, convenience stores and mom-and-pop outfits from selling alcoholic beverages; restaurants, hotels, bars and supermarkets are exempt, as are convenience stores in tourist areas like Bali. "Cheers" in the local language: Santi! As of 2013, Laos consumes the most alcohol per capita in Southeast Asia, with over seven liters consumed per person per year. (Source) Blame the Lao festival season and the many local brews for the above-average tippling: Laos produces one of the region's best beers, Beerlao, and local moonshiners work overtime catering to the massive demand for the potent rice-whiskey called Lao-Lao. The latter varies in quality, as it's usually produced in home stills. Barriers to drinking: little to none. 18 is the minimum legal drinking age in Laos, but this is not enforced in private settings like homes or hotel rooms. A law proposing higher taxes on alcohol and new restrictions on its sale and consumption is in the works - watch this space for developments. "Cheers" in the local language: Zoo siab! Here's a statistic you'll never expect from a Muslim-majority country: Malaysia counts among the world's top ten consumers of alcoholic beverages. This despite excise taxes wavering between 150% to 250%, the highest in Asia and the second-highest in the world (only Norway taxes their alcoholic beverages more)! While the country's laws come down hard on Muslims who are caught consuming potent potables, the Chinese and Indian communities make up for the shortfall. You'll find beer and liquor readily available in most metropolitan supermarkets and mini-marts in Malaysia. Outside Malaysia's most tourist-friendly cities (Kuala Lumpur, Penang, Melaka, Johor Bahru, and Langkawi) alcohol is harder to find outside of Chinese-Malaysian owned establishments. Rural communities may brew their own cheap moonshine from rice or palm; these go by the names of tuak and samsu. Barriers to drinking: The conservative Malaysian states of Terengganu and Kelantan completely prohibit the sale and consumption of alcohol. Legal drinking age is 18, but the law prohibits Muslims from imbibing. "Cheers" in the local language: Sihat selalu! Tourists visiting Myanmar can tipple at foreigner-friendly pubs and beer stations serving draft beer to ordinary Burmese. Local establishments serving alcohol close shop early; get your booze in before 9 if you must, or visit a bar attached to a luxury hotel if you want to drink till much later. Locally brewed beers provide a hygienic substitute for Myanmar's questionable drinking water: homegrown brands include Dagon Beer, Mandalay Beer and Myanmar Beer. Myanmar-made spirits include Mandalay Rum and Grand Royal Whiskey. In the boondocks, the locals brew potent palm toddy called tan ye. Barriers to drinking: Little to none. National legal drinking age is 18. Yangon pubs and drinking spots are under a strict curfew, with a last call of 11 pm. A few dedicated drinkers are finding ways around it. "Cheers" in the local language: Aung myin par say! The Philippines has long had a hearty drinking culture. In the provinces, you'll commonly find shirtless men gathered at local variety stores passing shot glasses of Tanduay rum around. (Don't be surprised if they ask you to join them; offense might even be taken if you refuse!) The national beer - San Miguel - has been brewed on the islands since the 1890s. Apart from San Miguel, the Philippines possesses a solid stable of home-grown spirits: the aforementioned Tanduay rum, Emperador brandy, and the world's biggest-selling gin, Ginebra San Miguel. Local spirits include the coconut wines lambanog and tuba and the rice wine tapuy. All these beverages can be purchased at any variety store, convenience store, and supermarket throughout the Philippines. For more information, read our guide to drinking in the Philippines. Barriers to drinking: little to none. 18 is the minimum legal drinking age in the Philippines, but this is spottily enforced. A liquor ban is enforced starting the day before an election, and is only lifted on the day after the election itself. "Cheers" in the local language: Kampai! The country that invented the Singapore Sling may have had a relaxed attitude to alcohol, but a 2013 riot in Singapore's Little India changed that. A new alcohol law now bans public drinking from 10:30 pm to 7 am. Restaurants, hawker centers, and hotels are not considered "public", and alcohol may be freely consumed in those areas. Singapore has no shortage of bars and watering holes; the local "Tiger" beer is readily available at the majority of hawker centers on the island, and high-end nightspots at Clarke Quay and Marina Bay readily serve wine and other spirits on command. Apart from the alcohol law, a few other restrictions remain. Muslims are prohibited from drinking, and the high excise taxes on alcoholic drinks (about SGD 70 per liter, or about $56) make tippling in Singapore an expensive proposition. If you want to drink on the cheap, plan ahead and buy your booze duty-free at the airport. Public drunkenness is frowned upon in Singapore, though, and you might risk jail time or caning if you're caught being aggressively or stupidly drunk in public. Barriers to drinking: A new Liquor Control (Supply and Consumption) Act bans public drinking from 10:30 pm to 7 am across Singapore, with extended bans during weekends and holidays in designated "liquor control zones" in Little India and Geylang. 18 is the minimum legal drinking age in Singapore. "Cheers" in the local language: Cheers! Thailand has a relaxed attitude to drinking in general (check out their top locally-made beers), but has lately tightened some of its laws to control the sale of alcoholic beverages. You can import alcohol duty-free, but your personal limit is one liter, regardless of type: in the eyes of the law, one liter of beer gets the same treatment as one liter of vodka. Barriers to drinking: little to none. 20 is the minimum legal drinking age in Thailand. A liquor ban is enforced during elections for Prime Minister and Senator. Vietnam loves its beer - almost every major city has its own beer brand, and street shacks everywhere sell cheap draft beers called bia hoi. Low excise taxes on alcohol make drinking a relatively cheap deal everywhere, but you can get it even cheaper if you bring booze in duty-free (you're allowed to bring up to two liters of alcohol). The availability of alcohol has made drunk driving a problem, though; seven percent of all fatal vehicle crashes are attributed to driving under the influence. Barriers to drinking: little to none. There is no minimum legal drinking age in Vietnam.